AI Cameras Have Arrived. Here Are Three Ways We Could Use Them. They seem pretty creepy, but how might we benefit from them? The future has arrived: cameras are gaining artificial intelligence (AI). Cameras can already connect to wi-fi, and have been an integral part of our smart devices for years, but they haven’t had “minds” of their own. Even cameras that operate as part of large-scale surveillance systems have so far remained without their own AI functionality. That is, until now. Just this week, Google released its first AI-powered camera, Google Clips. The camera clips onto whatever you’d like and uses machine learning to automatically photograph what it “thinks” is interesting. Often photographing humans and pets, the camera responds to lighting, facial expressions, and other common traits of good photos. When it senses that something memorable is happening, the camera takes a 15-second burst photograph, ensuring that the moment is fully captured. Initially, this might seem like the downfall of photography as we know it, and maybe even a tilt towards dystopian surveillance. But let’s explore the different ways that AI-powered cameras could be useful. By capturing images and videos that truly feel organic and candid, you might better represent the moment and the memories being made. It could also ease the anxiety of parents who don’t want to miss or forget the important, precious moments in their family’s life. Google Clips isn’t the only AI-powered camera making waves. In 2017, Lighthouse AI unveiled the Lighthouse security camera, which combines AI, a 24-hour video feed, and up to a month of storage for footage to keep your home safe. A homeowner can ask the camera’s AI to ping them if it sees an unfamiliar face, or to let them know if anyone enters the house at an odd hour. As AI cameras become increasingly popular, this type of surveillance camera could become commonplace not only in homes, but also in public spaces, retailers, government buildings, and more. 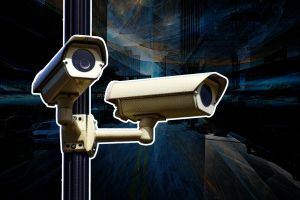 This could greatly boost surveillance and security, especially since Lighthouse AI’s camera boasts 1080p resolution, ensuring that what is captured is clear. But great video security also comes with a risk of spying. Could such AI security cameras be trained to look for specific types of people, compounding existing biases? Is it easy to hack into the 24-hour video footage taken with these security cameras, or to hack into the AI and change its directive? In terms of spying, it could also be very easy for one member of a family to use Lighthouse’s AI technology to spy on someone else in the house — whether that be looking to see if kids have friends over, if a spouse is cheating, or if their teens are sneaking out at night. For their part, Google Clips partially addresses spying concerns by not recording audio, but the issue could still exist. Lighthouse, Google Clips, and future AI-powered cameras could also be powerful tools against abuse. While humans have to set up the cameras, it could be easy to forget that they’re running. Victims could potentially even ask future iterations of AI cameras to transmit video if their abuser begins acting in an aggressive manner. Amazon’s Alexa has already worked in this fashion, calling 911 in response to hearing a violent physical attack. Amazon Echo recordings have also been used as evidence in a murder case. So far, there is no plan to explicitly use these devices for this purpose, but over time they could prove to be powerful tools against abusers. We walk around with smart devices all day, every day — taking photos, posting about what we’re up to, and generally informing the rest of the world of everything about us. While it might seem creepy to have a camera that photographs you when it sees fit, many of us already put our information out into the world on a daily basis. Yet that doesn’t mean there shouldn’t be a few lines drawn in the sand. Given that artificial intelligence may present some unique challenges to humankind (to say the least), it’s best to anticipate privacy and security dangers before they become widespread. Indeed, it’s possible that the benefits of AI cameras may be maximized by regulation that keeps their artificial brains in check.